With the slight seasonal variations, many people of all ages suffer from asthma attacks throughout the year. Asthma is one of the most common chronic diseases in children, affecting 7 million children and 32 million adults in the US. Worldwide 235 million people have asthma and the related deaths reach 180,000 per year. An asthma attack is marked by severe and recurrent bouts of coughing, wheezing, and shortness of breath, which can range from a minor annoyance to a debilitating or life threatening disease. Approximately one in every 12 Americans suffer from asthma and the incidence has increased by 60% since the early 1980s. Therefore, it is not only the disease of an individual, but has become a public health problem and a huge financial burden. According to the Centers of Disease Control, the annual spending on asthma care is over $56 billion, which includes hospital visits, treatment costs, and missed workdays. In spite of such massive expenditure, asthma treatment offers only symptomatic improvement. Everyone is at risk of fracturing a bone from a fall, sport activities, or a car accident and it is all the more likely to happen to people suffering from osteoporosis. 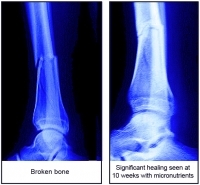 Bone fractures are one of the most painful injuries and require a lengthy recovery time. The most common bone fracture, especially in active adults and children, is a broken leg, and often involves a tibial (or shinbone) fracture. In the US, approximately 492,000 tibial fractures are reported every year resulting in close to 400,000 hospital days. The usual time for healing a tibial fracture is 12 to 16 weeks. 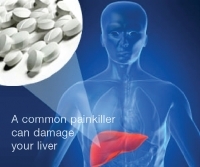 However, this is often delayed due to a high incidence of complications requiring strong painkillers for the patient. In European countries, osteoporosis related hip fractures were reported to be 620,000 according to a 2010 report. The term “connective tissue” is frequently discussed in association with skin or joint disorders, and many people are not aware of how important it is in other chronic diseases such as heart disease and cancer. Over 90% of cancer deaths are due to the extensive spread of cancer (metastasis). Cancer cells metastasize by breaking the connective tissue barrier that surrounds them. 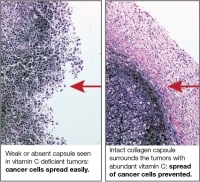 The strength and stability of connective tissue depends on an optimum production of collagen fibers and the prevention of uncontrolled tissue destruction. An abundant availability of several micronutrients, especially vitamin C, and the amino acids lysine and proline, is essential for this function. Unlike most animals, humans are not capable of internal production of vitamin C and lysine. Yet, most of the cancer research is conducted on mouse models that do produce vitamin C. To overcome this barrier, our research institute utilized a special type of mice that mimic human metabolism in respect to the lack of internal vitamin C production. Approximately 40% of the world population and almost one in three adults in the US have high blood pressure, which in individuals with additional genetic predisposition to heart disease greatly increases their risk of heart attacks and stoke. According to the World Health Organization, heart disease contributes to 17 million deaths worldwide each year, including 4 million deaths in Europe and 600,000 in the US. Despite ever increasing prescriptions for high blood pressure and cholesterol reducing medications, cardiovascular disease is expected to increase to 40% by 2030. This is because conventional medicine does not address the root causes of these conditions, but focuses instead on the mechanical lowering of blood pressure or cholesterol readings with highly profitable drugs. Lung cancer, the most common cause of death from cancer worldwide, was responsible for nearly one in five (1.38 million) cancer deaths in 20081. 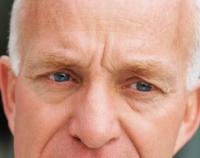 In 2012, about 1.8 million new lung cancer cases were diagnosed. 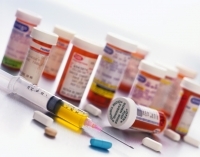 Current therapies are ineffective, highly toxic, and over half of all patients die within one year of being diagnosed. The five-year survival rate of only 3.5% has not improved over several decades. There is therefore an urgent need to change the direction in cancer research and develop new, original and safer approaches. New Research in Influenza: It's More Than Just Vitamin C! Influenza (flu) is a common viral disease affecting up to 20% of the world’s population. In most cases, the flu is benign, but it can also have serious consequences especially in people with compromised immune systems, the elderly, and children. It is estimated to cause 250,000 to 500,000 deaths worldwide each year1. 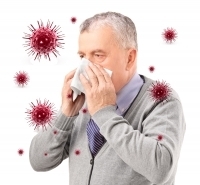 The flu virus easily spreads through the air or by direct contact. In most cases, simple measures such as frequent hand washing and good nutrition are effective in preventing the flu. However, every year media fuelled campaigns promote influenza vaccination as the best protection against the flu. The influenza vaccine global market generates close to $3 billion a year and it is estimated to reach $4.2 billion by the end of 2014. Despite aggressive marketing it has been difficult to prove the efficacy of the flu vaccine since the flu virus frequently mutates (changes) and resistance to the vaccines is very common. Acquired immune deficiency syndrome (AIDS) has become a worldwide epidemic and health threat. In 2012, about 34 million people worldwide were living with HIV, the human immunodeficiency virus linked to AIDS. In the US, 1.2 million people are infected with HIV with 50,000 new infections occurring every year. The World Health Organization (WHO) estimated that about 2.2 million new HIV infections occurred globally in 2012.